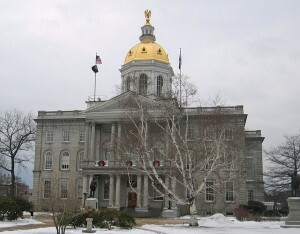 Photograph of Concord, New Hampshire state house. 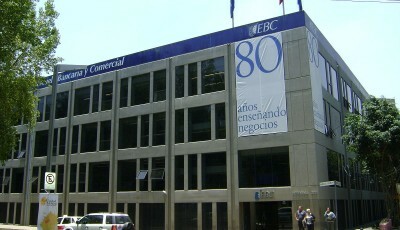 The building was built by Stuart J. Park from granite quarried from Concord, New Hampshire. Construction began 1816 and was completed in 1819. A New Hampshire State bill, introduced in early January by Republican Representative Eric Schleien, would mandate that the state treasurer “develop an implementation plan for the state to accept bitcoin as payment for taxes and fees,” reported the PanAm Post. With two Democrat and five Republican co-sponsors, the bipartisan initiative would establish a deadline for Bitcoin acceptance of July 1, 2017, with relevant plans presented by the Treasury Department on or before January 1, 2017. The Treasury proposal would then be reviewed by New Hampshire’s governor, the House speaker, and the Senate president, said the PanAm Post. The PanAm Post said Representative Schleien believes that adoption of Bitcoins for tax payment purposes would be a boon for New Hampshire. He asserts that with the proper structuring, the state would be free from any risk associated with price fluctuations in Bitcoin, nor would the state have to pay “one cent” in processing fees. Schleien also argues that Bitcoin transactions are, despite many fears, more secure than those made with credit cards, so the bill would offer taxpayers a more secure option at a reduced cost. New Hampshire Congressman James Spillane told the news outlet that he supports the bill for the same reasons, but noted that a date for a vote has not be set yet. 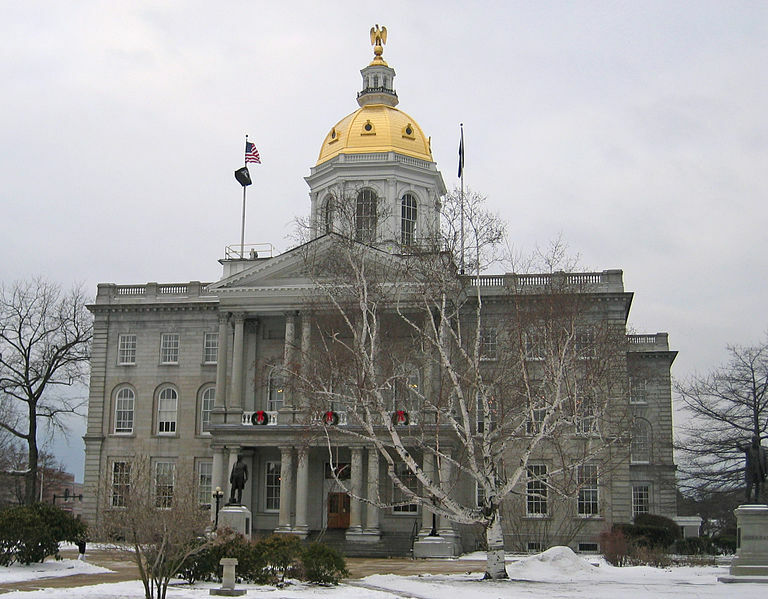 Juan Llanos, an anti-money laundering policy and cryptocurrency expert, suggested that such a bill could only benefit from significant support at the state level, and particularly in New Hampshire. “If this were been presented at the federal level, the bill would be dead on arrival,” Llanos told the PanAm Post. Joel Valenzuela, a member of the New Hampshire Free State Project, told the PanAm Post that the bill is unlikely to pass, stating that officials remain unfamiliar with and skeptical about Bitcoin. Image credit: Jared C. Benedict (User:Redjar), who took the photo on December 29, 2004. 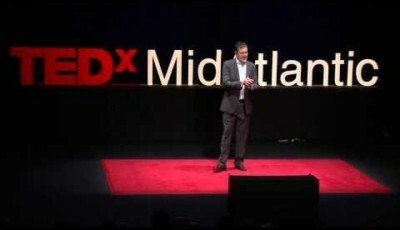 Copyright: © Jared C. Benedict. You can already pay any bill in the United States with Bill Pay for Coins!